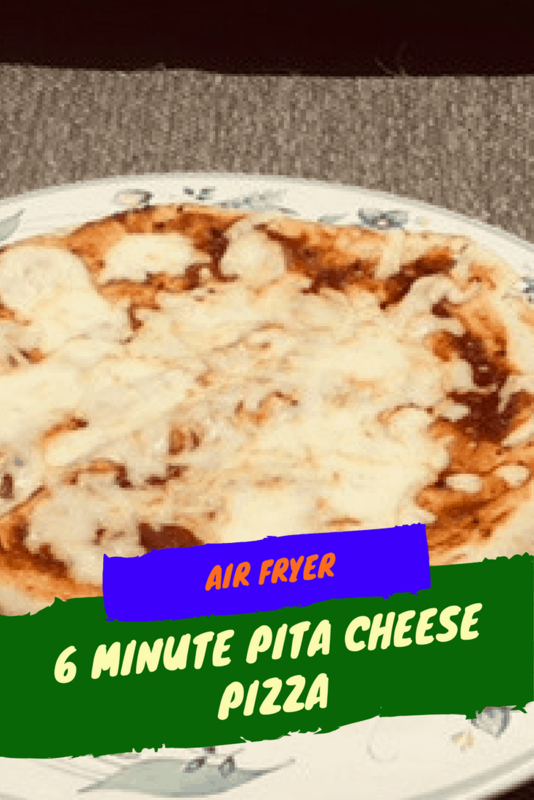 Air Fryer-Pita Cheese Pizza–6 Minutes and Done! This was my kid’s favorite lunch this week. And to tell you the truth, I was just playing with them. I didn’t expect them to come out perfect. And, who doesn’t love pizza? You need 3 ingredients and one air fryer and 6 minutes. You need to literally pop them in an air fryer. It’s easy. It’s also amazing. I love my Air Fryer. 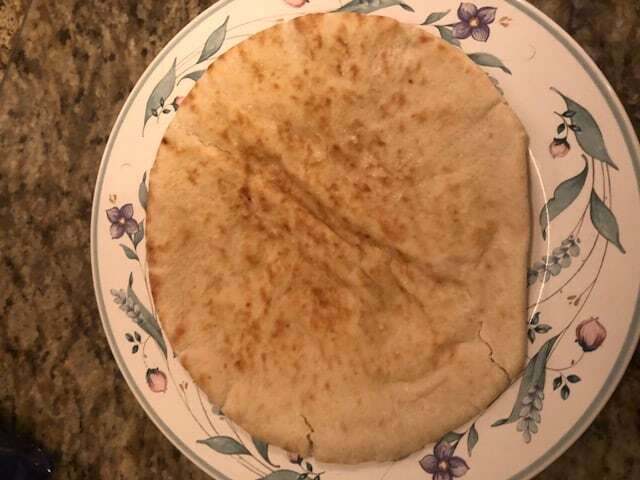 Step 1, lay out your pita bread. 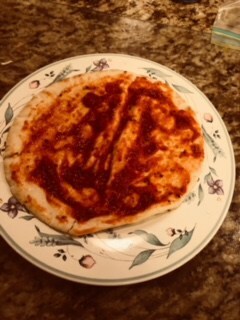 Step 2, spread your pizza sauce over the pita, then add your mozzarella cheese, set the temperature to 360 degrees F, and air fry for 6 minutes. 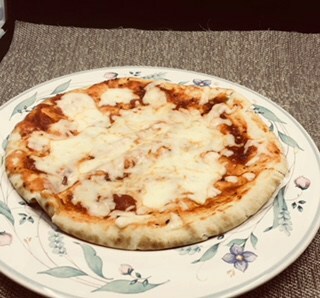 Finished Pizza, Cheese and delicious. 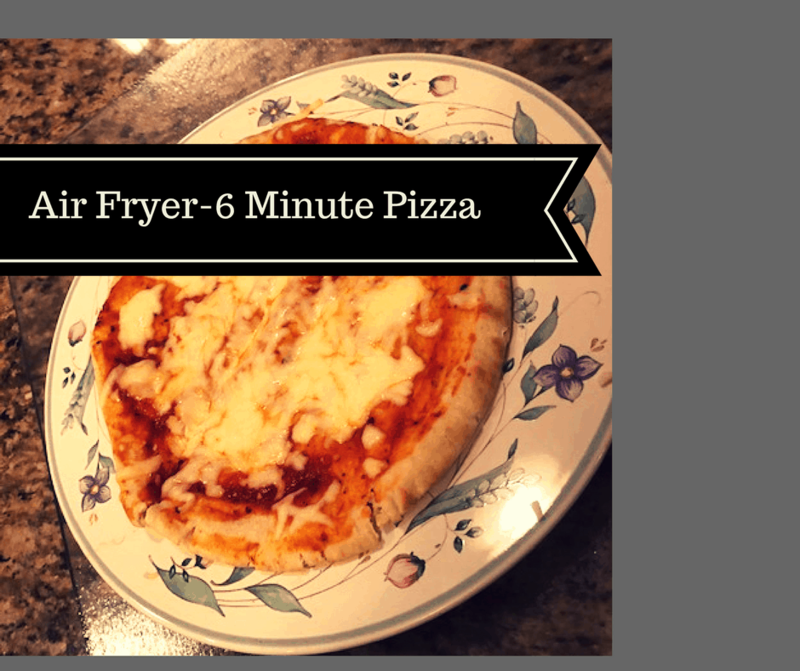 Air Fryer-Pita Cheese Pizza--6 Minutes and Done! Start by laying out your pita bread, then spread the sauce over it. Sprinkle mozzarella cheese over it, then set the air fryer for 360 degrees F, and air fry for 6 minutes. Be careful, when you take it out, use a spatula, and oven mitts, so you don't get burned.